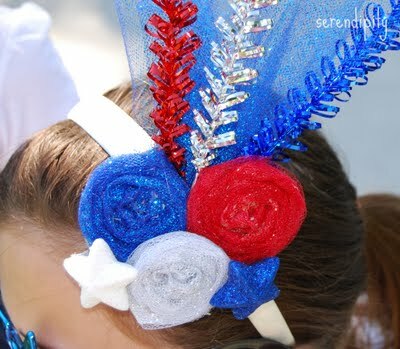 I love the Royal Wedding inspired twist in this 4th of July Craft. Forget a plain old patriotic headband. Cristin made a patriotic fascinator! You can see this cute craft over at Serendipity. Isn't that so fun! Cristin is so clever! Wow...Thank you for the feature!